Chalk this up to another recipe I was intimidated to make, but turned out to be easy. Why do we allow ourselves to be held back? Especially when powdered sugar is involved! Then the kids came home and squealed, with awe-struck faces. And told me I’m the boss. Ya. Pretty awesome. These are nothing like the store-bought variety. They’re rich and creamy, and just…way better. Plus, you can customize them with different flavors and shapes. I cut out hearts for Valentine’s Day, of course. Paul, who’s trying to lose the holiday weight, was not happy with me. Because he, unlike our weirdo offspring, loved them. We sort of ate all 36 within 2 days. And hated ourselves. But we got over it. In a bowl of a stand mixer, combine the gelatin and 1/2 cup cool water. Let soak. With the mixer on low speed fitted with the whisk attachment, slowly pour the sugar syrup into the softened gelatin. Increase the speed to high, and whip until the mixture is very thick and fluffy, and has cooled to lukewarm, about 5-10 minutes. Add in the vanilla and beat to incorporate. Pour the marshmallow mixture into the baking dish and spread evenly using a greased spatula. Sprinkle 1/4 cup powdered sugar over the top, and place in the refrigerator, uncovered, for at least 3 hours (or overnight) before cutting. Enjoy on their own or in a cup of hot cocoa! • There are many different variations on homemade marshmallows - using a stand mixer with a whisk attachment is the most common. I’ve also read other instructions where the mixture is covered in plastic wrap and sets in the pan at room temperature. And the block of marshmallow is inverted onto a sugared surface and then cut. I, personally, prefer to chill the mixture in the fridge and cut into shapes while still in the pan. • Don't have a stand mixer? Don't fret! I found using a handheld mixture (as shown in the video above) just as effective. It just takes a little longer, between 8-10 minutes. You'll also need some way to stabilize the bottom of the bowl you're using, so it doesn't slide around. • You can store the marshmallows in an airtight container, at cool room temperature, layers separated by parchment paper, for up to 4 days. The powdered sugar will dissolve over time, though. 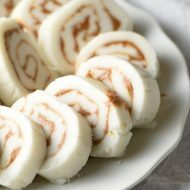 Some other Homemade Marshmallow recipes you might like! 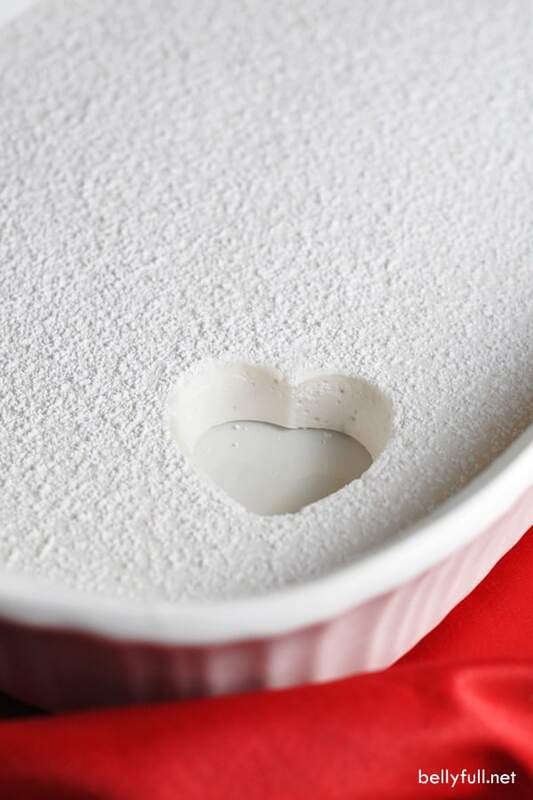 If you sift 1/3 cup of cornstarch with the 1/2 cup powdered sugar, the sugar won’t dissolve. 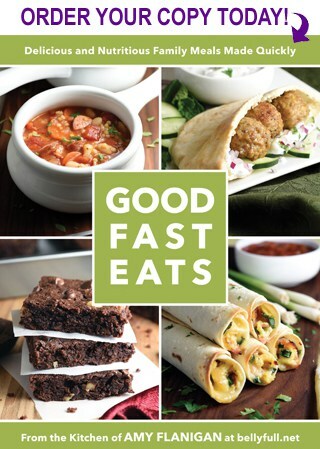 Im trying this recipe tonight. It’s the long weekend so I’ll make little packages for my coworkers and then bring the rest camping. I prefer mine cut so that’s a lot of marshmallows. Oh and a quick trick any extras do well in the freezer. You may need to recoat them afterwards but there nice to have on hand. I want to make these to sell in little baggies for a fundraiser, but concerned about the storage time – what happens after 5 days? 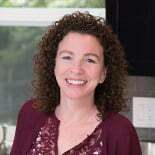 Hi Christina – just like store-bought marshmallows (over a longer period of time), they start to get gummy and stick together. 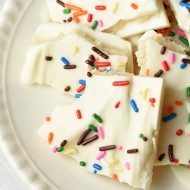 Could these be dipped in chocolate almond bark to make marshmallow chocolate candies? 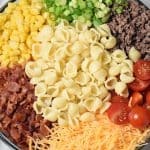 Hi Kristina – Altering ingredients with recipes like these is often risky. Thrilled these worked out for you and everyone enjoyed them. Yay! Not sure, Katerie. 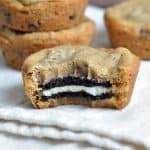 These are sweet and flavorful as is and I don’t think need anything added. I guess you could add flavored extract to the gelatin mixture? Try it! Couldn’t you theoretically use any jello flavor? This calls for gelatin, not jello. Hi Clare! I know exactly what you mean – such a drag. Honestly, I don’t have any great tricks up my sleeve. With this recipe, I just soaked the pot in hot water immediately afterwards. It seemed to clean pretty easily. I hope it works for you! Well these are just ADORABLE! lol @ hated ourselves but got over it. This is exactly why I’ll be making your recipe for marshamllows this week! HA! Love it Amy! Oh yay! I’m so glad you’re making them…in September! Is there any way to sub the corn syrup :/ will not put that crap In my body do you think agave nectar would work? I don’t know. I would stick to the recipe or skip it. Use 1/2 as much agave as corn syrup. Works like a charm. Sugar is sugar. Your body responds in one way. Corn syrup is no worse than agave nectar. Lol…if you’re so health conscious, then WHY are you reading these recipes? Food that looks this good usually has tons of CRAP aka sugar. EVERYTHING in moderation. (Unless you’re allergic.) You don’t have to eat them all at one time. This will be a first….. my 4y/o will have fun cutting out hearts. These are beautiful!! Homemade marshmallows are SO much better than anything you can buy in the store. For one thing, they actually have flavor! These are sweet except for the corn syrup. ???? 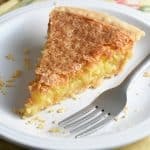 Does anyone have a recipe that doesn’t use corn syrup? I had and lost a Ward cookbook from 1945 that had such a recipe with no GMO corn syrup. 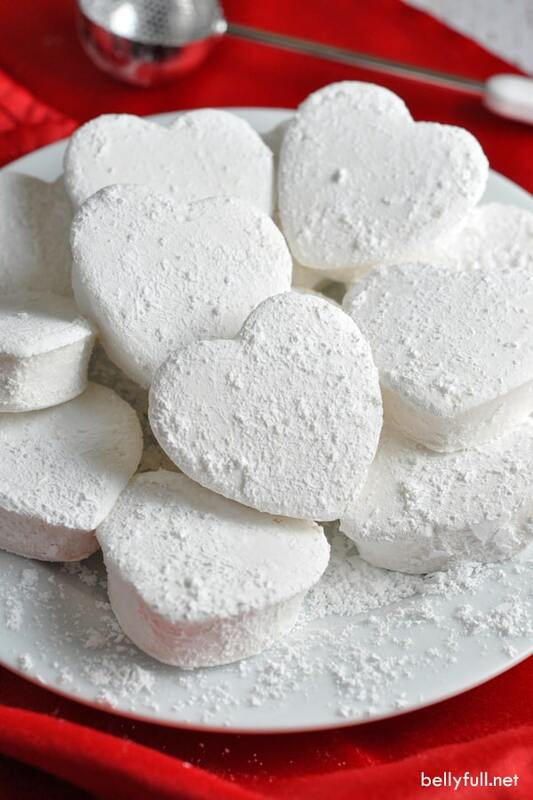 I love homemade marshmallows but still haven’t given them a try myself! I need to change that! These are little sweethearts for sure. Totally adorable and they taste good too. I’ve marshmallows several times, and I know the thrill, but I’ve never attempted to cut them into shapes, these are darling! Yes, the heart shapes definitely added to the fun aspect! Thanks, Sue! 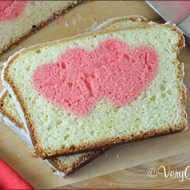 I am going to make these for Valentine’s day. I have a question. Can I add some food coloring to make them pink or will that alter the consistency? Hi Connie – a few drops should be fine. Incorporate it in after the vanilla. Should be super cute! Homemade is the BEST!! 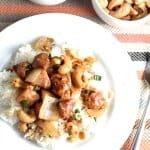 Love this recipe, and these photos!! I’ve only made them once, and my kitchen was covered in powdered sugar but man oh man are they good! yours look perfect!! 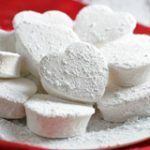 I had making marshmallows on my list for Valentines day! And I just received my heart shaped biscuit cutters yesterday! Yippee! I made marshmallows as Christmas presents this year. The recipe included beaten egg whites. The flavor was wonderful, but the mess! It was too much, even for me. I’m going to try your recipe next as I have lots of Karo syrup left. Yes, I’ve seen some recipes that use eggs whites, as well. I guess it’s supposed to make them fluffier? Also, everyone has mentioned the mess. I think that must be a draw back of inverting it out of the pan onto a cutting board with all the powdered sugar, which I didn’t do. I don’t know…would love to know how mine compares. I love these so much! I’ve tried marshmallows once or twice and it was a total fail. You’ve inspired me to try again. And yeah, my kids are totally like that too. Ugh. 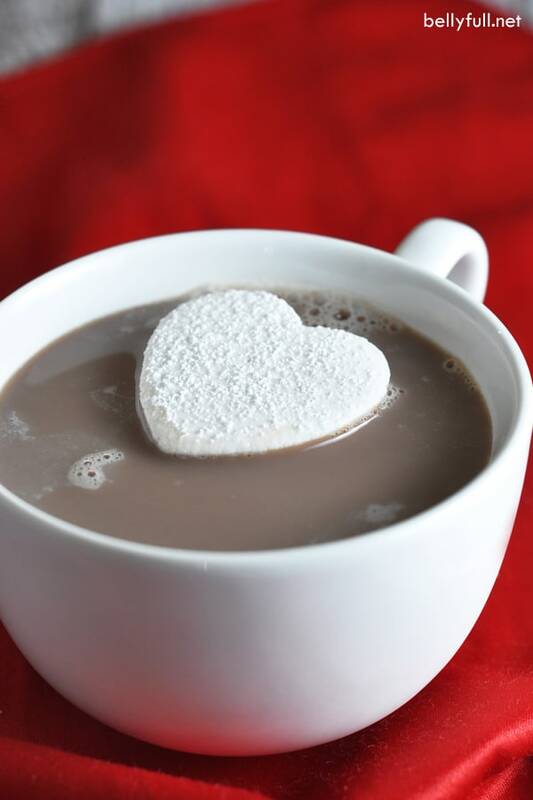 I love your mallows. And how neat and clean they look in comparison to mine. I’m such a mess…. all the time. What.Eveeeeeer. Can you hear my eye roll? LOVED yours!